A little while ago (okay, a few months ago) I asked you guys on Twitter what Liverpool-related content you'd like to see, and a list of the best bars in Liverpool was the winner. So, a little overdue, here it is, my favourite bars in Liverpool. I know I may be biased, but Liverpool is a boss place to go for a night out. We were voted the third best city in the world in terms of nightlife, and even have purple flag accreditation, which means it's a safe city to go out for a drink in. With bars, clubs and secret venues around every corner, you're never short of places to go out in Liverpool. In all honesty, this list could have comprised of hundreds of places, but let's be honest, nobody has time for that. That's why I've narrowed it down to a handful of my favourites. Of course, where you go for a drink depends on your mood and who you're with. If you're on a quiet date, you might head to secret whisky place Berry and Rye, or if you're out with your mates till 6am for a boogie, you've got to go to Popworld. 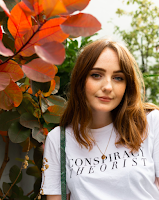 I thought though, that many of you lovely lot who read my blog, have quite similar tastes to me, so hopefully these Liverpool recommendations will be right up your street. 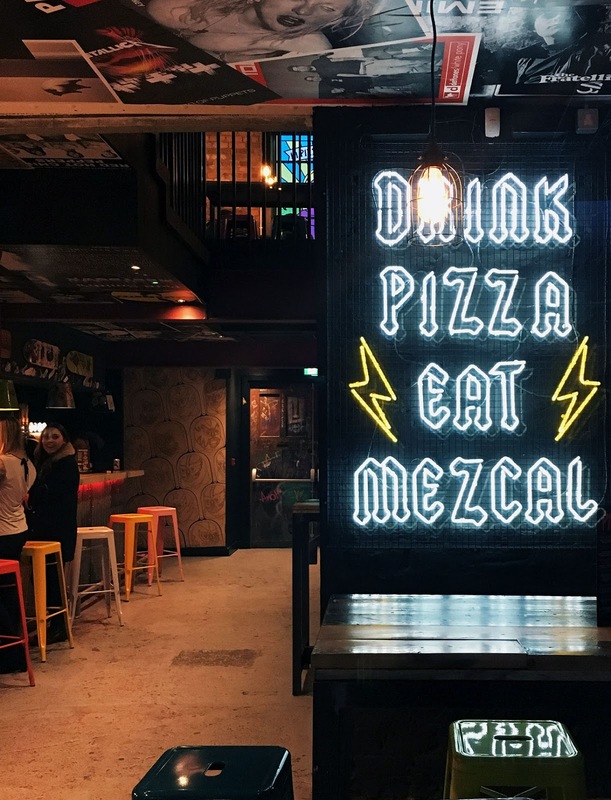 We've got part time pizza parlours, swanky gin bars, dive bars and more. First up, let's talk about the newest place on this list. Crazy Pedro's, part time pizza parlour, part time pop punk bar (yes, heaven), opened up on Parr Street in late 2017. Me and Beth headed over earlier this year to see what all the fuss was about, just popping in after going to the shops, and we ended up staying until late, singing and dancing to blink-182 and fountains of Wayne, sipping on frozen margaritas. I've had a thing for frozen margaritas ever since we went to Vegas, they take me right back to sitting outside New York New York, watching everyone go by. I get the same kind of buzz in Crazy's, just a little chillier and with more flavours, like cherry coke, raspberry and mango and chilli. Try the raspberry, it's my fave. You can also play pin ball and beer pong in here, so it's pretty much the best place on earth. 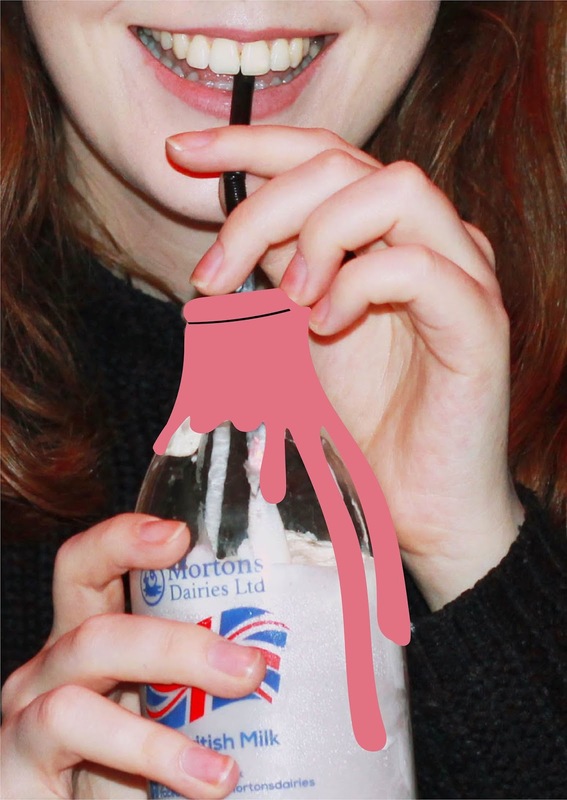 Just on the corner of Parr Street is Santa Chupitos*, part of the Santa Maluco / El Bandito / Salt Dog Slims family, which is famous for its $5 shakes. 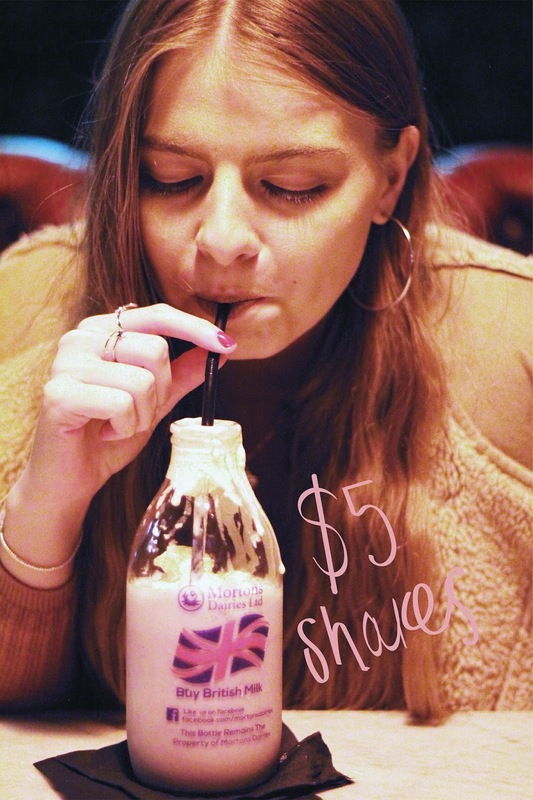 No, they're obviously not $5, but they are alcoholic milkshakes served in the cutest milk bottles, so perfect for insta. And, there's a vegan version, hallelujah. I'm more of a gin or tequila girl myself, so I tend to go for the margarita on offer, which is thankfully part of Santa Chupitos' happy hour deal. Originally running just in January, the lovely guys there have decided to keep it running all year long, so there's no excuse not try everything at the bar really, is there? Oh, and this goes for all of the bars in the Graffiti Spirits Group family, so why not make it a bar crawl? I'm in! In fact, Salt Dog Slims deserves it's own little mention here. Known by scousers as simply Salt Dogs, the bar is one of the best stops to make on a Friday or Saturday night on the town. Once you carefully make it up the steps, you step into a small venue covered in scribbled walls, so make sure to take a pen to make your own contribution. The beers come in steins and you can even get a hot dog, if that's your thing, and the music is even better. Which other bars play early blink songs? Almost none. Mix that in with a few 70s and 80s tunes and we've got a good night on our hands. Plus, the guys behind the bar blast an air horn whenever a couple is necking at the bar. My kinda place. Speaking of 70s and 80s tunes, a list of the best bars in Liverpool would be incomplete without mentioning the Jac. The Jacaranda is famous for hosting the Beatles back in their early days of gigging around Liverpool, and since reopening a couple of years ago, the Jac is now known for being one of the best rock'n'roll bars and vinyl stores in the city. Pop in of a daytime for a coffee and a personal vinyl session in one of the upstairs booths, or come by of a night to join the crowds singing along to the stones or chanting Ohhh Jeremy Corbyn whenever the white stripes come on. The ground floor is where it's happening, but head downstairs for an intimate gig and the party that goes on after hours. And there you have it. They're my recommendations for the best bars in Liverpool, as of early 2018. 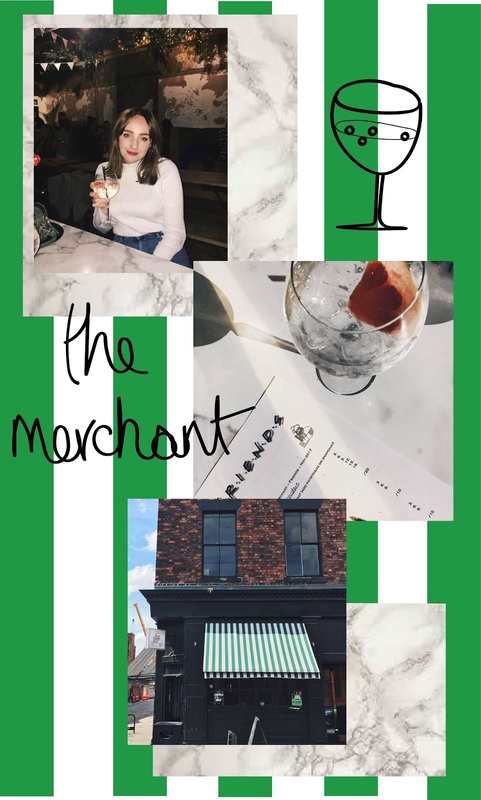 With so many new independent bars and restaurants popping up in the city, it wouldn't be a surprise if I updated this list in six months time with 10 other venues, but for now, take my word for it and make these bars your next stops on your next night out in Liverpool. I really hope you enjoyed this post, and hopefully it convinces you to come down here for a bevy one time. If you're a local, let me know your favourites in the comments below, and if you have any other ideas for Liverpool related posts, send them my way! You can see my Liverpool posts and recommendations on the Liverpool section of my blog, too! 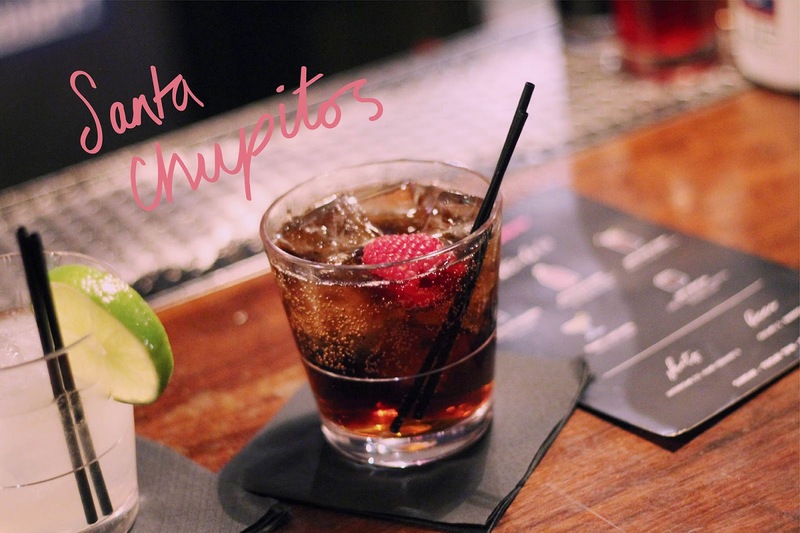 *Our drinks in Santa Chupitos were courtesy of Kapranos PR, in exchange for inclusion in this list. All opinions are my own. This has made me wanna go out in Liverpool! I'm from Manchester but a few of my friends have gone to University in Liverpool and I've been dying to visit, will have to check out some of these places when I do!